Guess what?! This is my first week of grad school, eeeeek! It has been such a long journey to get where I am today and if you remember me studying for the GRE like a crazy woman, you feel me on this one. I am both nervous and excited to begin this new adventure, but I cannot wait to see what the next two years have in store for me. As requested, I will be posting a blog post about how to study for the GRE, tips for grad school applications, and other advice related to school so stay tuned for that! I also want to give you all a heads up and let you know that some weeks I may be posting significantly less pictures or may not even post any at all that week. Always know that I will be back as I have a passion for producing content and connecting with all of you. Just be patient with me through this transition as I will be working full time, going to grad school, taking care of a puppy, and attempting to have some sort of social life. With that being said, I recently received this dress from Bella and Bloom Boutique and it is STUNNING! I love love love the color of the dress and all of the amazing details. The first detail I love is the amazing crochet top. The second detail I love is the open back, which completes the look of this dress. Finally, I love how flowy the dress is and how comfortable it is to wear. When I put this on, it made me wish I was on the beach in Malibu drinking rosé. 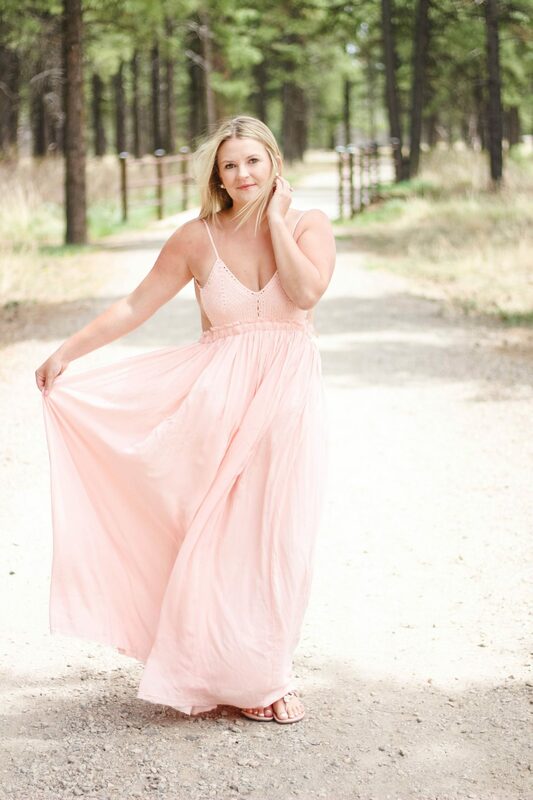 I will definitely be wearing this maxi dress on my next vacation because it looks even better with a tan! I also think this dress would be so so cute for maternity pictures since it is perfect for a bump or also engagement pictures because it is subtle, yet stunning. If you are interested in purchasing this dress, which by the way, it’s under $40, click here. I hope you all have a fabulous rest of your week!